Big brother is a reality game show. It brings 20 young men and woman together in a house (big brother house). They are engaged in numerous activities from which, in my opinion, viewers can choose their favourite housemate to vote for. 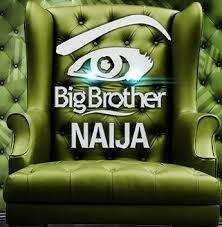 Big brother Nigeria has a dedicated channel on the GoTV cable and on DSTV which broadcast the housemates activity 24/7. Big Brother Naija (double wahala) , started showing on air 20th of January. Since then it has been trending in Nigeria and worldwide twitter. It is the talk of the town. There is a lot of controversy surrounding the Big Brother Show. Housemates get involved in sexually explicit activities and many people are of the opinion that "the show has no meaning" . The true value the show promotes isn't known, or should I say it isn't clear? Yeah, maybe. I find the show interesting and I see it as a good way to waste my leisure time. The problem I have is the way the Nigerian youths have made it their full time job to be in front of their TV all day watching the show. Factually a busy hardworking youth wouldn't waste his time like that. You got a 34.82% upvote from @allaz courtesy of @princeshady5!